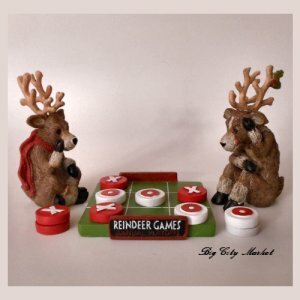 Reindeer Games Table Decoration  - $9.00 : Big City Market, Big City Market Delivers it All! 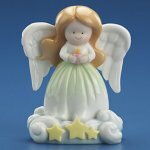 This absolutely darling table decoration is perfect for the upcoming Holiday Season. The 2 Reindeer are 5.5 inches tall x 3 inches wide. The game board measures 4.5 inches x 4.5 inches square and comes with tokens to play tic tac toe. Made of resin, this can be used as a single decoration, or place the reindeer anywhere to add a bit of Holiday spirit. Game board can be used for actual game. Please Note: There are small pieces that could be a choking hazard, so please keep out of reach of small children.